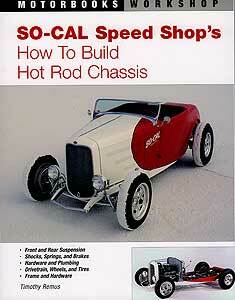 What began more than fifty years ago with Andy Brizio has become, over two generations, the shop that has defined modern hot rodding: Roy Brizio Street Rods. With winners at the prestigious Oakland Roadster Show, and customers like Jeff Beck, Eric Clapton, and Neil Young, Roy Brizio Street Rods is a name to be reckoned with. But more than anything, Brizio is known for building street rods that are meant to be driven - hard and fast, day after day after day. 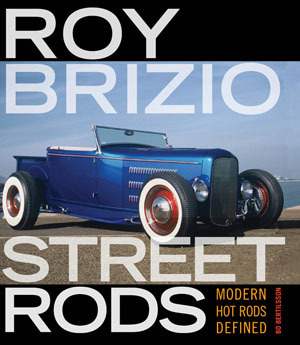 In this first history of Roy Brizio Street Rods, author and photographer Bo Bertilsson examines the family legacy and profiles dozens of the standout cars that have rolled out of the South San Francisco shop and taken the Brizio name to the top of the hot rod heap. Here are the Brizio-built and restored coupes and roadsters of the stars, as well as Roy's and Andy's own acclaimed 32 Ford roadsters, among many others. Bertilsson focuses on ground-up Brizio builds and explores some of the Brizio's remarkable restorations, illustrating every car with fabulous color photography.